NOTE: This content is old - Published: Tuesday, Sep 13th, 2011. Wrexham was today announced as one of 114 new locations where BT is set to introduce fibre based broadband services. The laying of the infrastructure will begin on Tuesday and will cover Wrexham North and Gresford. It means that approximately 15,000 homes will benefit from internet speeds of up to 40Mbps. BT said that the move is part of it’s long-term programme to make super-fast broadband available to two-thirds of UK homes and businesses by the end of 2015. The company has pledged to spend £2.5 billion on this programme, subject to there being an acceptable environment for investment. 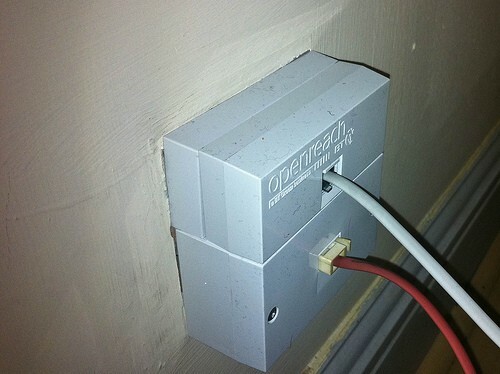 The majority of the roll-out will be based on Fibre to the Cabinet technology (FTTC) which currently offers download speeds of up to 40Mbps and upstream speeds of 10Mbps but Openreach is planning to roughly double these speeds during 2012. Mike Galvin, BT Openreach’s managing director for Next Generation Access, said: “I am pleased to be able to reveal the latest locations where we will make fibre broadband available. Our roll out is one of the fastest in the world and we are on track to pass ten million homes and businesses next year before pushing on further.